William Fitzsimmons is one of the oddest people you will ever meet. Born the youngest child of two blind parents, William was raised in the outskirts of the steel city of Pittsburgh, Pennsylvania. Due to the family's inability to communicate through normal visual means, William's childhood home was filled with a myriad of sounds to replace what eyes could not see. The house was suffused with pianos, guitars, trombones, talking birds, classical records, family sing-a-longs, bedtime stories, and the bellowing of a pipe organ, which his father built into the house with his own hands. When his father's orchestral records were not resonating through the walls, his mother would educate him on the folk stylings of James Taylor, Joni Mitchell, Bob Dylan, and Simon & Garfunkel. By the completion of his youth and schooling, Fitzsimmons had become well-versed at a variety of instruments, at the minor expense of social standing, interactional skills, and a knowledge of proper shaving technique. Fitzsimmons' path into music was likewise unusual, forsaking the hobby for many years to work with the mentally ill and pursue an education in the field of mental health. It was during his last semester of graduate school that William pooled monies from past birthday's, holidays, and snow shoveling outings, and bought cheap home recording equipment to begin creating songs again (the first collection of which eventually became his debut album). After finally achieving his goal of becoming a practicing therapist, William left, and returned again to his love of crafting and playing songs. He felt that is where he most belonged. Somewhere between a singing therapist, and a counselor who writes songs, is where Fitzsimmons endeavors to be. Using songs to address matters that he believes need to be addressed. 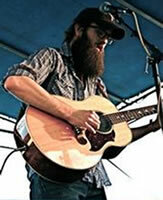 William draws from those early folks stylings of his mother's music, and the embellished nstrumentation of his father's. 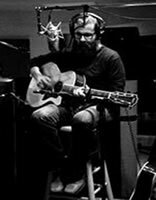 He is often compared to contemporaries Sufjan Stevens, Iron & Wine, and the late Elliott Smith, not only for his unique style and skill in writing and proclivity to deal with substantive and evocative subject matter, but also for his use of organic and colorful melodies and arrangements. His first two records were completely self-produced and his new album, "The Sparrow And The Crow," produced by Marshall Altman at Galt Line Studios in Los Angeles, is his first studio recorded work. While his lyricism deals often with darker undertones (his most recent album is said to have been written following his own divorce), a measure of hopefulness is always carefully blended in. Even with his short tenure as a songwriter, William has already received mention in noted publications such as Billboard, Paste Magazine, and Performing Songwriter Magazine, and his music has been featured on several television programs such as "Grey's Anatomy" and "Army Wives." 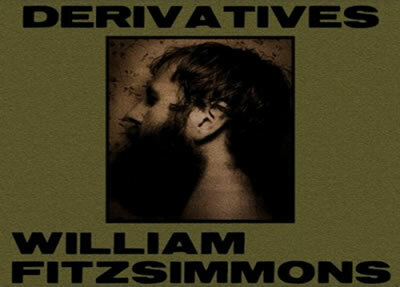 Derivatives, a new collection from William Fitzsimmons, is a multicolored re-imagining of several prominent tracks from The Sparrow and the Crow, Fitzsimmons' well-received 2009 release on Mercer Street Records / Downtown Records. Derivatives contains several remixes of Fitzsimmons largely folk-inspired tunes - revisited and remixed in an electronic fashion - while still retaining the emotional and heartfelt core of Williams songs.